We are working with Renfrewshire Council on an ambitious infrastructure led masterplan that will help unlock the economic potential of the wider Glasgow City Region. The £129m project comprises three distinct sites close to Glasgow Airport and will see a major new opening bridge over the River Clyde as well as significant new transport and environmental improvements to the Clyde Waterfront to create a new residential district. 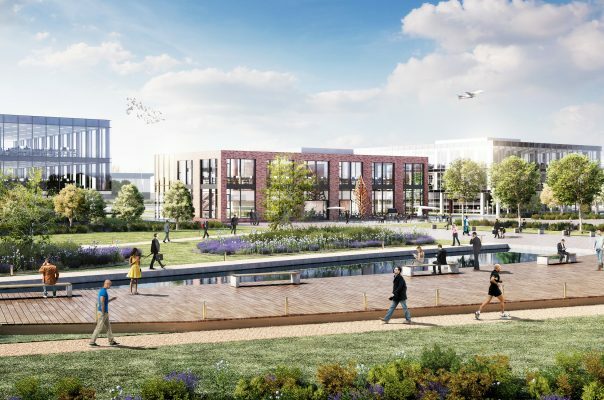 Proposals include an exemplar business park that will provide a new commercial destination capitalising on the proximity of a growing Glasgow Airport and improved connectivity to the wider city region and beyond. There will also be significant infrastructure improvements and new travel routes south to Paisley town centre that could include two more new bridges and improved cycling and walking routes. Paisley is bidding to become European City of Culture in 2021 and Renfrewshire Council wants to present an improved ‘front door’ to welcome visitors. This ambitious masterplan is part of a much wider £1.13bn Glasgow City Region City Deal that will deliver 20 infrastructure projects over the next 20 years designed to drive innovation and economic growth and deliver tens of thousands of new jobs. The three Renfrewshire projects – the Airport Access Project (AAP), the Clyde Waterfron and Renfrew Riverside (CWRR) and the Glasgow Airport Investment Area (GAIA) – represent the largest share of investment.